OR ANYTHING YOU WOULD LIKE TO DONATE TO HELP! 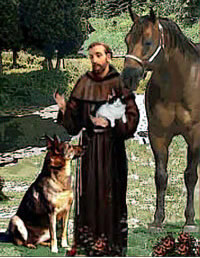 St Francis of Assisi is the patron Saint for the protection of animals. He was a lover of all creation and a champion of justice. 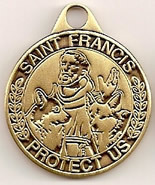 St. Francis is so well known, the legacy of his love for animals is celebrated in nearly every religious faith. Each day, our pets bless us with unconditional love, devotion, and joy. 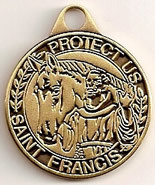 Bless and protect them with a St. Francis ID medal tag on their collar, halter or bridle. 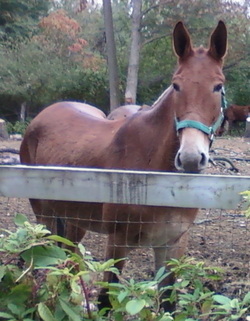 **For every metal that is purchased, the company will donate 1 metal for a rescue horse but.... when ordering you Must Mention that "Voice For Horses Sent You"
Sign Up For Kroger Community Rewards!! REMINDER: All supporters must renew each year between April 1 and April 30 to continue uninterrupted support. The Kroger Community Rewards Program allows Voice For Horses Rescue Network to earn funds when you shop at Kroger using your Kroger Plus Card. Kroger has donated over $100.00 to Voice For Horses Rescue Network and with your help, we can continue to see this number grow & Help rescue more horses. Once you have registered your Kroger Plus Card as supporting Voice For Horses Rescue, whenever you shop using your Kroger Plus Card, Voice For Horses Rescue Network receives a donation from Kroger. It is simple to sign up. Go to www.krogercommunityrewards.com and select Ohio. From that page you can read about the program and sign your card up to support Voice For Horses Rescue Network. Our Kroger Community Rewards NPO Number is 84551. If you have any problem navigating your way through the Kroger web page, contact us and we will send you step by step instructions. Thank you from the bottom of our Hearts and Hooves!! 100% of the proceeds from the Nutrena support program will go to help the animals in need in the Community Animal Outreach Program. You can also make a donation to buy a bag of Nutrena feed the cost for a 50# bad of Nutrena Safe choice is $14.79, make a donation TODAY!!! no amount is ever too little, every penny counts!! The BISSELL Pet Foundation is able to fund the life-saving work of animal welfare organizations because of one simple reason: the kindness and compassion of people like you. Every gift, no matter the size, will be used to impact the homeless pet population. By combining your gifts with those from other generous donors, we can multiply the positive effects every penny can provide.